Phil Sargent has worked with many of Boston and New York City’s most prominent musicians including Jerry Bergonzi, John Lockwood, Fernando Huergo, Bruno Raberg, Bob Moses, Matt Wilson, Phil Grenedier, Yosuke Inoue, Thomson Kneeland, Allan Chase, John Funkhouser, and others. 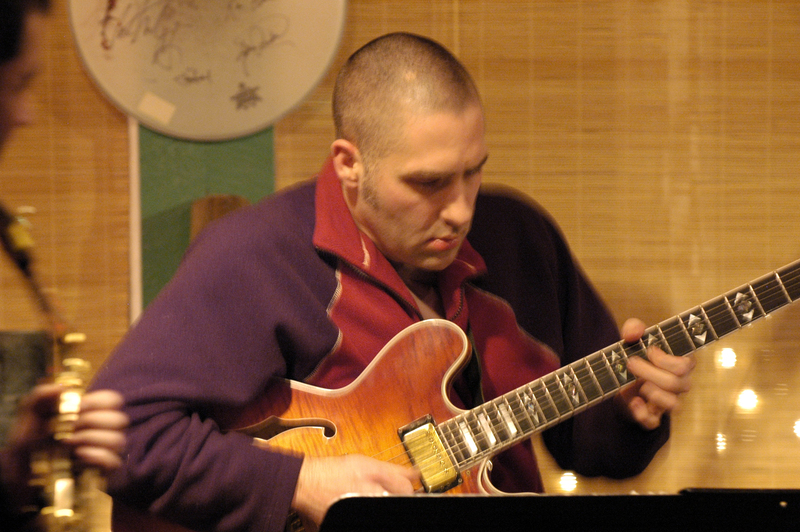 He studied Jazz Performance and Composition at the University of New Hampshire as well as privately with critically acclaimed guitarists, Ben Monder and Brad Shepik. Phil also leads his own ensemble whose compositions draw from a variety of influences, most prominently the odd metered rhythms and eastern tonalities of Balkan music as well as the innovation of modern jazz improvisation. Phil released his first CD recording, For Carl, in 2002. His most 2010 release, A New Day, has received both national and international critical acclaim. In addition to composing for his own group, Phil composes music for and has released recordings with the genre bending groups, Iskar and Industrious Noise Trio as well as many others. Phil performs nationally as a major contributor many band such as, Sonic Explorers, Bruno Raberg Nonet, Rick DiMuzio Quintet, Mehmet Ali Sanlikol Jazz Orchestra, Brooke Sofferman Perspective, John Funkhouser Quartet as well as a wide variety of ensembles whose styles range from “straight ahead” jazz to the avant garde. In addition, Phil has enjoyed a full roster of private students in the greater Boston and New Hampshire areas for many years and is an active clinician teaching improvisation and performance master classes in colleges and high schools throughout New England.